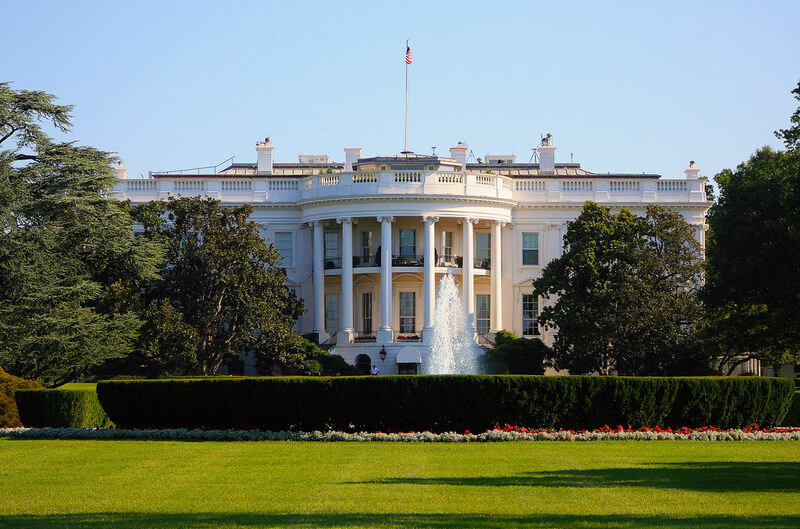 “White House” image by flickr user Trevor McGoldrick. As has been widely reported, this past Friday the White House directed essentially all federal funding agencies to develop open access policies over the next few months. I wrote the letter below to be forwarded to faculty at the Harvard schools with open-access policies, to inform them of this important new directive and its relation to the existing Harvard policies. I write to you with three pieces of good news. First, the White House on Friday released a new policy memorandum expanding public access to the results of federally funded research. This new policy follows on from two broad-based national policy forums in 2010 and 2012 organized by the White House Office for Science and Technology Policy. It also serves as the response to over 65,000 petitioners to the White House “We the People” site supporting open access. The policy directs essentially all federal funding agencies to develop policies along the lines of the successful public access policy already in place at the National Institutes of Health, guaranteeing that articles based on federally funded research are made freely available to the public within one year of publication. The first piece of good news is that research results will now be much more broadly available and have greater impact. Public access policies like the NIH’s, which will soon be in place in all major federal funding agencies, come with a responsibility: Researchers must retain sufficient rights to comply with the public access requirement. The second piece of good news is that because your school has an open-access policy voted by the faculty, you already are automatically retaining sufficient rights to comply with the government’s public access requirements. Unless you opt out of rights retention by expressly directing that a waiver of the open-access policy license be granted, the school’s open-access policy has the effect that you retain broad rights in your articles, sufficient to distribute them in compliance with the NIH policy, as well as any new policies that arise from the White House directive or from the bipartisan Fair Access to Science and Technology Research (FASTR) Act that was just introduced in both houses of Congress. Faculty at most Harvard schools are thus exceptionally well placed to take the broadest advantage of the new White House and Congressional initiatives in making our scholarship openly accessible. The third piece of good news is that there is no need to wait for the White House policy to effect change in funding agency policies. By virtue of Harvard’s open-access policies, you can already provide for open distribution of your articles. Indeed, part of your school’s open access policy is a commitment by all faculty to do just that: provide copies of your final manuscripts to be placed into the DASH repository. The Office for Scholarly Communication stands ready to help with the process. All you need to do is forward us your articles through our “quick submit” form. Your articles can then join the over 9,000 other articles in the repository that have been distributed well over a million times to grateful readers from every continent on earth. Please do not hesitate to contact us if we can help in any way in broadening access to your scholarship. The new US OATP Presidential Directive requiring the largest US funding agencies to mandate OA within 12 months of publication is a wonderful step forward for the entire planet. Here are some crucial implementational details that will maximize the mandates’ effectiveness. (1) Specify that the deposit of each article must be in an institutional repository (so the universities and research institutions can monitor and ensure compliance as well as adopt mandates of their own). (2) Specify that the deposit must be done immediately upon publication. (3) Urge (but do not require) authors to make the immediate-deposit immediately-OA. (4) Urge (but do not require) authors to reserve the right to make their papers immediately-OA (and other re-use rights) in their contracts with their publishers (as in the Harvard-style mandates). (5) Shorten, or, better, do not mention allowable OA embargoes at all (so as not to encourage publishers to adopt them). (6) Implement the repositories’ automated “email eprint request” Button (for embargoed [non-OA] deposits). (7) Designate repository deposit as the sole mechanism for submitting publications for performance review, research assessment, grant application, or grant renewal. (8) Implement rich usage and citation metrics in the institutional repositories as incentive for compliance. If this is all done universally, universal OA will soon be upon us — and a global transition to affordable, sustainable Fair-Gold OA (instead of today’s premature, double-paid Fool’s-Gold), plus as much CC-BY as users need and authors wish to provide — will not be far behind. Here in India, a similar reform (Right to Information) was introduced after much public debate and intellectual intervention. Though Right to Information (RTI) does not talk about access to info regarding the spending and potential results of the spending in areas spanning science and technology, it saw close to 45 litigations in lower courts challenging the money spent by Central Drug Research Institute (CDRI) on 4 research studies initiated by them a decade ago. The government stand on it was that it might be against national interest if areas of spending were bought out in public domain but the courts saw merit in the litigation and ordered the government to come out clean. It can only be a win-win, everywhere! This is great to hear!! I remember telling a colleague the other day on how easy it was to find some NIH info for a project we were working on. Good to hear that it’s being adopted in other areas!